Bingley leaders, headed up by Prime Minster Jebb, met yesterday at the Brussels Tavern to seek out a resolution to the Great Whernside Bog Crisis. Prime Minster Jebb laid out the priorities "We need to solve this crisis in time for the Great Whernside Fell Race this Saturday, incorporating the Yorkshire Fell Championships"
President Woodhead of Keighley (France) said "We can't let the banks [of the River Wharfe] dry out and become runnable, someone from outside the York Zone may capitalise". President Woodhead called for a bail out package, asking all FRA member states to visit the banks of the Wharfe, up to the summit of Whernside with 440 billion plastic cups of water. Fortunately today (Thursday) it rained all day, averting the Bog Crisis for now. 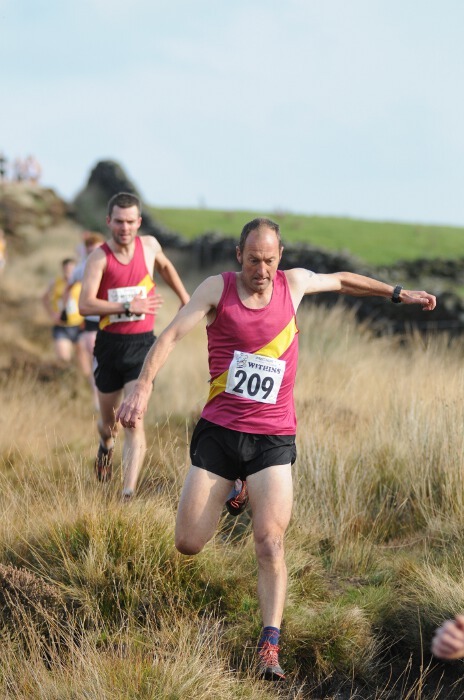 Holmfirth's Jose Manuel Barroso said "This is a marathon not a sprint" at which Prime Minister Jebb interjected "actually Jose, the race is only 4 miles"
Devine intervention may have averted the Bog Crisis but will it have the last word on Saturday? 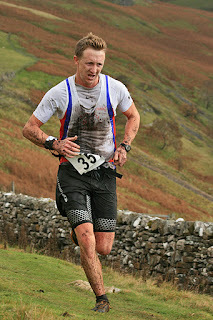 Gary Devine's over from his Pyrenees-Haven and a 3rd place at last Sunday's Withins Skyline (behind Ian Holmes' 2nd and Helm Hill's Tom Addison's 1st) showed he's open for business. He'll definitely be useful for bolstering the Pudsey and Bramley team campaign - P&B won the team prize on Sunday at Withins. 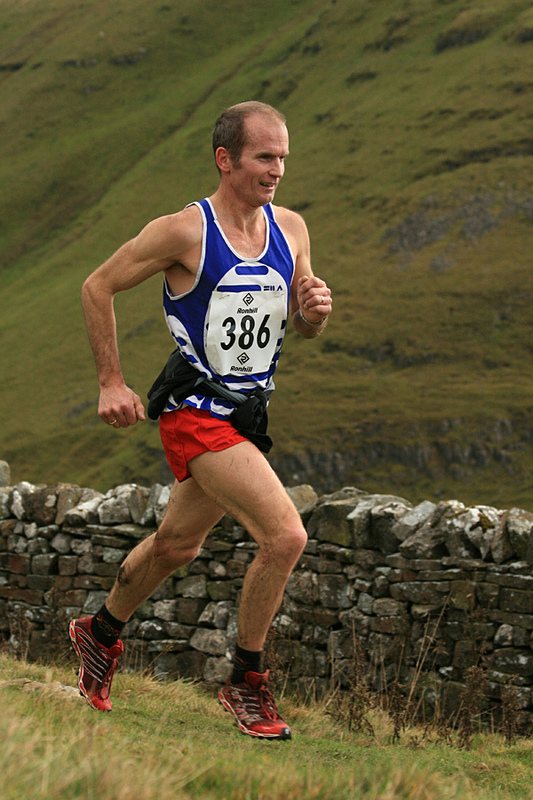 Gary Devine followed by Matt Lockyer at Withins Skyline. Matt finished just 8 seconds behind Gary. The Great Whernside race starts from Kettlewell in Wharfedale at 11:30 on Saturday 29 October 2011. It's 4miles and 1555ft. Simon Bailey has the record with 28:38 (when it was an English Championship race in 2007) and Candice Leah has the ladies record with 36:10 (also 2007). It's just £4.50 on the day, why not come along (don't forget full kit may be needed) - if you can't make it FRB will be bringing you the news on the day via twitter. Here's how to sign up and follow us!